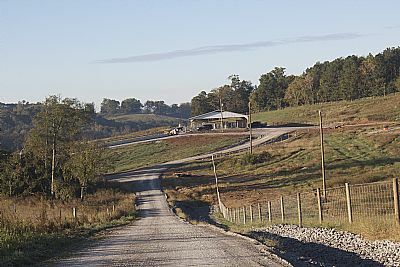 The Middle Tennessee AgResearch and Education Center at Lewisburg was established in 1929. It is the home of the Tennessee Beef Heifer Development Program. Here, university experts research and demonstrate the best methods for developing replacement heifers - often the most costly component of beef cattle production. The program is a partnership of the University of Tennessee Insitute of Agriculture, Tennessee Department of Agriculture and Tennessee Farmers' Cooperative. Our facility serves as an offsite destination for heifer development, making room for increased numbers of mature cows and increasing income potential per acre. Consigned heifers can be purchased at one of our annual heifer sales. We also host field days and other educational events to train area producers on best management practices. Get more details on heifer consignment. "UT Extension shares tips that can enhance the quality of the tomatoes you grow in your garden." "Microgreens are tiny plants that add zest to salads and main dishes, and are popular with chefs and customers..."
"Veterans with past war injuries or disabilities, who are also farmers, are receiving help from a UT Extension..."